Mulching your yard is good for the environment and your lawn. Why is mulching so great? Well, mulching makes the beds look great; conserves water; and helps to keep the weeds down to a minimum. This is all good news for your lawn and for the environment. A good looking lawn with a minimum amount of weeds is a really great situation for your lawn to be in. The conservation of water helps the environment. It is estimated that Americans spend a great deal of water on their lawns each year – about 1/3 of our total water usage is done outside. Therefore, the less water we use on our lawn, the better the water situation is for all of us. 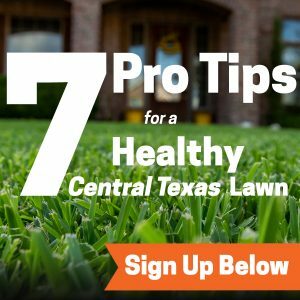 In Central Texas, we are still experiencing a drought so the less water people use, the better it is for us and for the lawn itself. How does mulching conserve water? Well, mulching cools the soil. It keeps roots cool in summer and protects the roots from frost in the winter. Cooler soil needs to be watered less often and when it is watered, the cooler the soil is, the less the water evaporates. That means more water goes into your soil where it belongs. Mulching also helps keep weeds under control as we mentioned before. Therefore, your garden plants and lawn won’t have to compete with weeds for whatever water there is. Mulching will also conserve soil moisture meaning you’ll have to water less often. Right now, about once a week is what the city recommends. So, what can be used for mulch? Many materials can be used for mulch. However, we, at Emerald Lawns, only use the highest quality Texas Native Hardwood Mulch in organic black-dyed or brown made from Whittlesey’s Nursery. They infuse it with compost tea and molasses so this year’s mulch is next year’s compost. This will go a long way towards helping your lawn be drought resistant and beautiful for years on end. By increasing the organic matter in your lawn, you’re improving the soil quality and that makes for a lusher, greener lawn and healthier flower beds. Right now, the City of Austin has an excellent rebate program for mulching, aeration and topdressing. It’s only good until August so there’s still some time to take advantage of it. Emerald Lawns can help you get the rebate by performing the mulching services. Call us today at 512-990-2199 to make an appointment.